Housing near City Center is needed for the Genzo-e Retreat with Rev. Shohaku Okumura, August 11 – 18. From August 11 to 18, City Center is hosting a seven-day Genzo-e retreat. Genzo-e is a meditation and study retreat designed to allow for a deep investigation of the teachings of Dogen Zenji, the 13th-century founder of Soto Zen. This week-long retreat will be led by Rev. 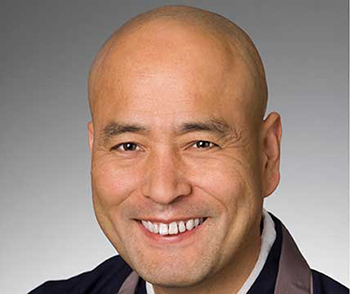 Shohaku Okumura, one of the world’s foremost teachers on Dogen’s practice and philosophy, who will offer two lectures daily. Due to limited availability of housing within the temple for this event, we are reaching out to any neighbors who have spare rooms available to host a retreatant or two. If you are interested, please contact Barbara Machtinger at ccshika@sfzc.org or phone 415-354-0395. For more information about the retreat, please visit our webpage, Genzo-e Retreat 2017.